As an avid lifelong foreign language learner, I know that foreign language competency enriches intercultural experiences and deepens our knowledge about other cultures and about ourselves. 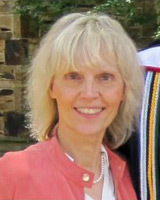 During the many years I have taught foreign language and literature courses at Austin College, I have tried to foster in my classrooms an atmosphere of openness and mutual support and understanding. I encourage students to develop new language-related identities because in those identities they are often freer to discover and develop new and valuable skills without the constraints learned within their mother tongue. I am a strong believer that in spite of all technological advances, in a global and interconnected world, skills in communicating in a foreign language are essential and contribute to peace. I approach my research in an interdisciplinary way. In the past years, I have focused on translating and editing German texts of historical significance in order to make them more accessible to the English-speaking world. My interests span from pamphlet writing and polemics in medieval and modern times, to German immigration to Texas in the 19th century and World War II letter writing. More recently, I have worked on texts from the early days of psychoanalysis. 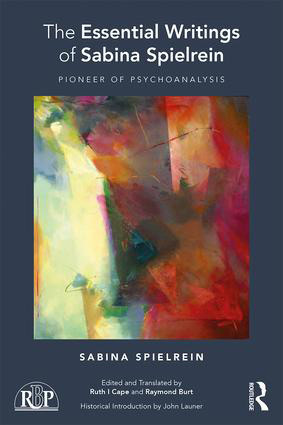 The Essential Writings of Sabina Spielrein: Pioneer of Psychoanalysis includes the first English translation of Spielrein’s 1911 medical dissertation, entitled “On the Psychological Content of a Case of Schizophrenia (Dementia Praecox),” a new English translation of her seminal 1912 essay entitled “Destruction as the Cause of Becoming,” and an English translation of her 1913 paper entitled “Contributions to Understanding the Child’s Mind,” one of the earliest publications on child psychology. Biographical introduction by John Launer. New World View. 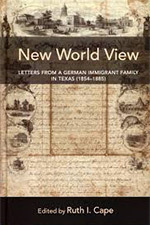 Letters of a German Immigrant Family in Texas, 1854 to 1885. Bilingual and annotated edition in German and English of a letter collection written by Christian Friedrich Bergmann (1817-1888). Includes a historical introduction. Publisher: New York, NY: Peter Lang (New Directions in German-American Studies), 2014. The Jews’ Mirror by Johannes Pfefferkorn. Bilingual and annotated edition in Standard German and English of the 16th century anti-Jewish pamphlet Der Juden Spiegel (Jews’ Mirror, 1508), written by Johannes Pfefferkorn, a German Jewish convert. 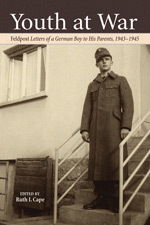 Youth at War: Feldpost Letters of a German Boy to his Parents, 1943 to 1945. 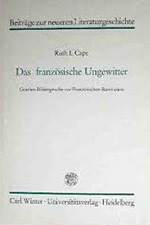 Bilingual annotated edition in German and English of a large collection of letters and postcards (Feldpostbriefe), written between September 1943 and February 1945. 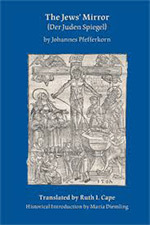 Includes a historical and biographical introduction. 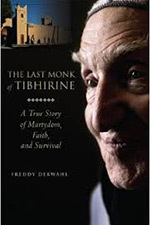 The Last Monk of Tibhirine. A True Story of Martyrdom, Faith, and Survival. Co-Translator (into English) of the German book Der letzte Mönch von Tibhirine by Freddy Derwahl (Munich, Germany: adeo Verlag, 2012). The book centers on the monastery of Tibhirine, where nine Trappist monks lived in harmony with the largely Muslim population of Algeria, a former French colony in North Africa, until seven of them were kidnapped and assassinated in 1996 during the civil war in Algeria. Das französische Ungewitter. Goethes Bildersprache zur Französischen Revolution. An analysis of Goethe’s figurative language of the French Revolution.